Road to Rhoads: A Simpler Life? Imagine what your life might be if you could remove all the unimportant, peripheral things. Oh, but you can, one layer at a time. 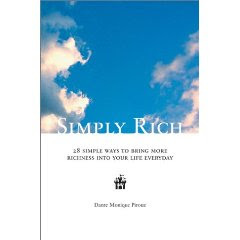 A couple of books I recommend to get started are “Simply Rich” by Dante Monique Pirouz and “The Simple Living Guide” by Janet Luhrs. Ms. Pirouz’s short work was inspired by the loss of a successful business after September 11. Reading her story and ideas for living richly in a more simple way are a true treasure. Ms. Luhr’s work at almost 450 pages is both broad and deep with a significant number of further references. 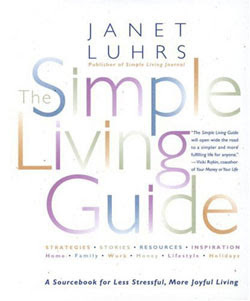 If the thought of simplifying your life has ever appealed to you, try these books on for size.